Its DriftStream time again! 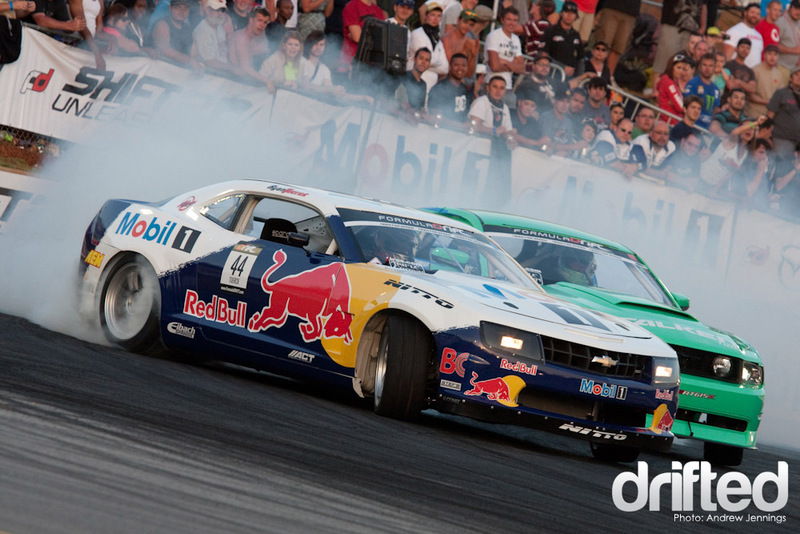 Formula DRIFT 2011 Round 3: Invasion is LIVE from Palm Beach, FL from approx 3-4pm EDT which by our calculations is 8pm-9pm GMT. Palm Beach International Raceway (formerly Moroso Motorsports Park) is a multi-track state of the art facility owned and operated by a team of car collectors and racers; making the venue a true home for motorsports enthusiasts. For the first time the Formula DRIFT Championship will enter South Florida and invade the area with the best drifting action it’s ever witnessed. The new East Coast venue will level the playing field as a new track layout will be created just for this event. Drivers will be forced to adjust quickly to their new surroundings to earn a spot on the podium making for what will be one of the most exciting events of the year.